He accused the NGO of pursuing a hidden agenda in the Congo. He said he wondered why the NGO has focused its “attacks” on the Congolese Government, which is only trying to protect itself against “terrorist groups”. 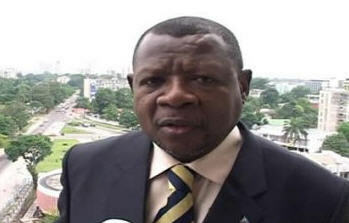 Lambert Mende said that the NGO seems to have found an “easy target” in the Congolese Government. He questioned its “tendency to shoot on ambulances”. He added that it’s “easy for Human Rights Watch to attack a country like ours”. And that, “Human Rights Watch should be applauded for its courage to always shoot at the weak”. Lambert Mende said that the DRC “no longer needs these kind of groups that come here simply to get something to work on, to increase their budgets, or extend their mandates”. He also said that it’s not because there are still “terrorist acts being perpetrated” in eastern Congo “that the Government has failed”. He argued that many other countries have had difficulties dealing with terrorist groups without being labeled by the NGO as failed states. Lambert Mende also said that if Human Rights Watch “has a score to settle with Joseph Kabila, they shouldn’t try to use the situation in eastern Congo to do it. They are simply trying to weaken and demoralize us in our existential right of resistance against terrorist movements”. He added that “Human Rights Watch has said almost nothing against the FDLR (Rwandan Hutu militia) and LRA (Ugandan militia) that are attacking us. All the attacks of Human Rights Watch are aimed at the Congolese government, enough is enough!”.